Maximize your storage to live a clutter-free life. 1. A 36-pair over-door shoe rack to turn the mess on your closet floor into a neatly stacked display. 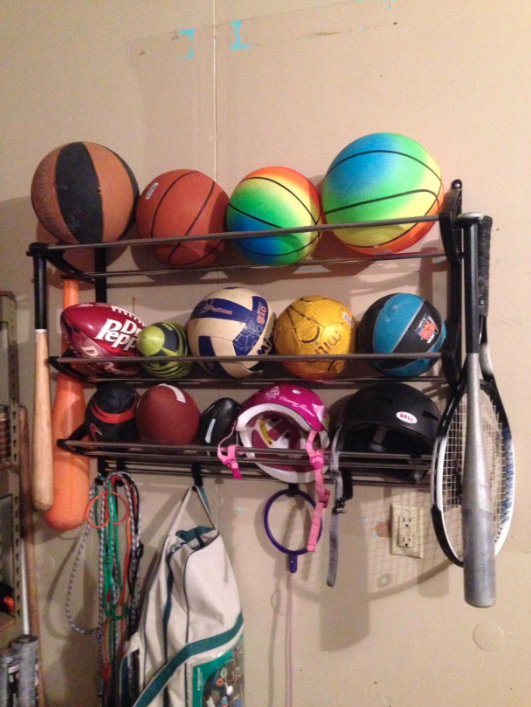 And if you have boots or taller shoes, the bars can fold up to accommodate them. 2. Or, if you store your shoes on shelves, a set of six space-savers that literally let you double up each pair so you can fit twice as many in the same horizontal distance. But still see each and every shoe you have at your disposal. Get the pack of six on Amazon for $16.90. 3. A spice rack so you no longer have to lead search-and-rescue through a cabinet of random spices looking for the coriander — just pull out the right drawer, and it's at your fingertips. It fits up to 30 bottles, and many reviewers label the front of each drawer with the spice it contains. You could also use it to organize other things, too, like individual eyeshadows. Get one on Amazon for $39.99. 4. An over-door jewelry cabinet that doubles as a mirror, for stashing away your collection as if it's a display in a boutique. You can also mount it to the wall, if you prefer. Plus it ~locks~ so kids can't get into it! Get it on Amazon for $121.99. 5. A stackable, customizable cube storage unit with doors to hide away 16 cubbies worth of stuff. 6. 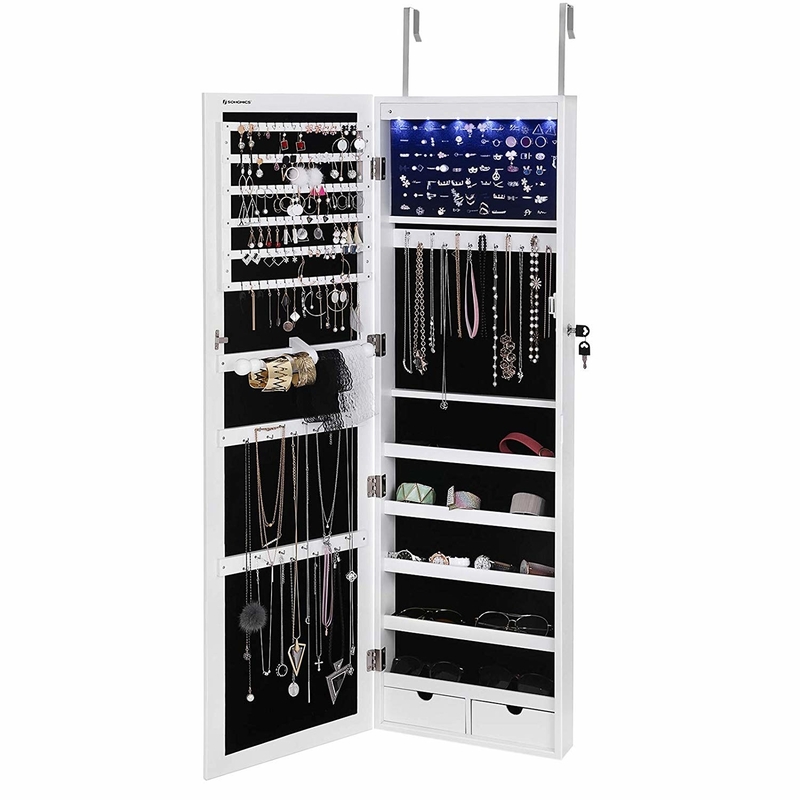 A rotating makeup organizer that makes every item in your collection orderly and easy to find when you need it. It's perfect to either keep out on your counter or tuck in a closet or cabinet — whatever works best in your bathroom. 7. A nail polish box for laying out your 48-bottle collection like it's the menu at the salon, making it *much* easier to pick the color you want to use. All the slots are actually big enough to fit a wide range of polishes — reviewers say they fit China Glaze, OPI, ILNP, Sally Hansen, Essie, and others. Some of the slots are adjustable, too, if you want to store clippers, files, and other tools along with your polish. And when you're all done, you can easily slide it away into a cabinet. Get it on Amazon for $24.99 (available in clear and clear-pink). 8. A photo album with a little spot to write captions so you can finally get all those pre-digital-camera pics out of boxes and into a home they deserve. 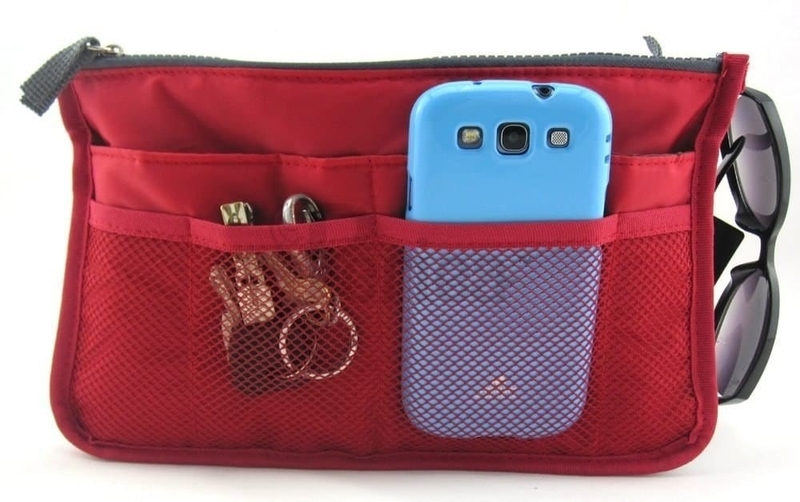 It holds 200 photos, has a hard-back fabric cover, and comes in 26 colors. Get it on Amazon for $13.49+. Or if you're looking for a bigger album, there's a pack of two binder-style albums that hold 500 photos each for $29.84. 9. 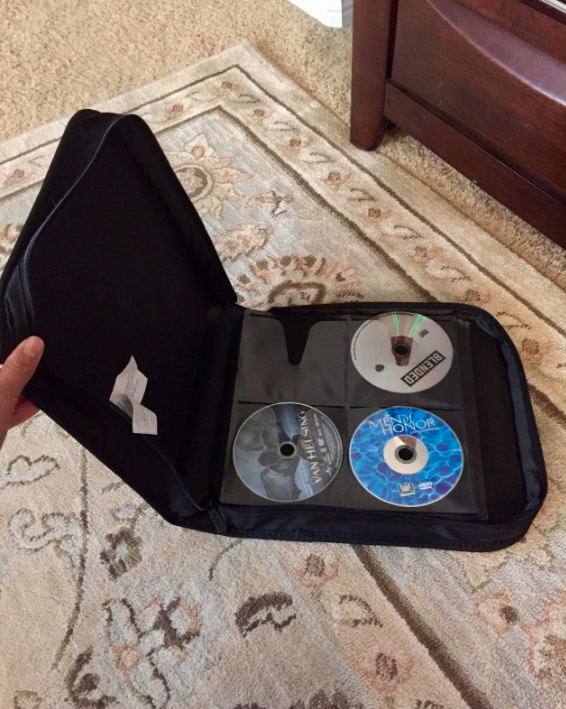 A disc case that will consolidate your entire collection of video games, DVDs, and/or CDs so they take up just a fraction of their original shelf space. Also works for Blu-Rays, obvs. 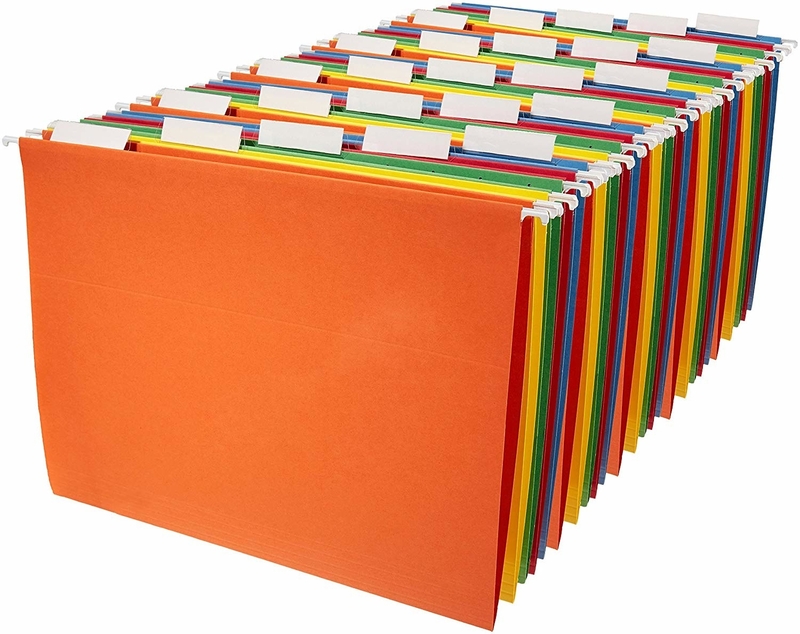 Get the 400-disc-capacity binder (pictured) for $19.84, or a smaller 128-disc-capacity binder for $12.16, both on Amazon. 10. A set of two stuffed animal hammocks to give all your kid's best friends a place to hang out besides the floor of your open-plan living area. Each net comes with a set of four screw-in hooks you can use to hang it, but many reviewers have success with Command Hooks, too. Get the set of two nets on Amazon for $12.99. 11. Or a soft and fuzzy stuffed animal bean bag chair that hides them away in a cozy little seat. Just stuff 'em in and zip! Get one on Amazon for $29.97 (four colors). 12. A pack of four space-saving hangers — they can fit about 20 shirts in four-shirts-worth of closet rod space. Every time you go to pick up a shirt, you'd just hook the second end of the hanger to your rod, pick your shirt, then unhook one end again. Get the pack of four on Amazon for $19.99 (five colors). 13. 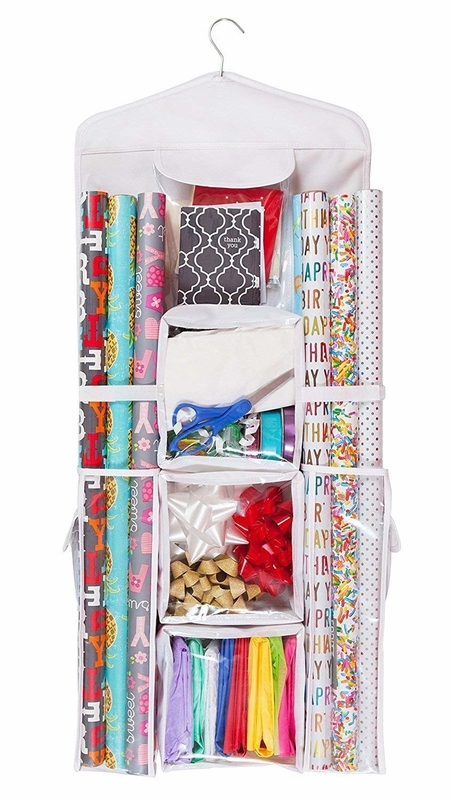 A four-bag, rolling laundry sorter because having lots of clothes usually means you have lots of laundry, too...and this will help you keep it perfectly sorted. Whether you separate by load or by person, this multifunctional sorter will take (some) of the drudgery out of laundry day. Get it on Amazon for $39.99 (comes in black or brown). 14. 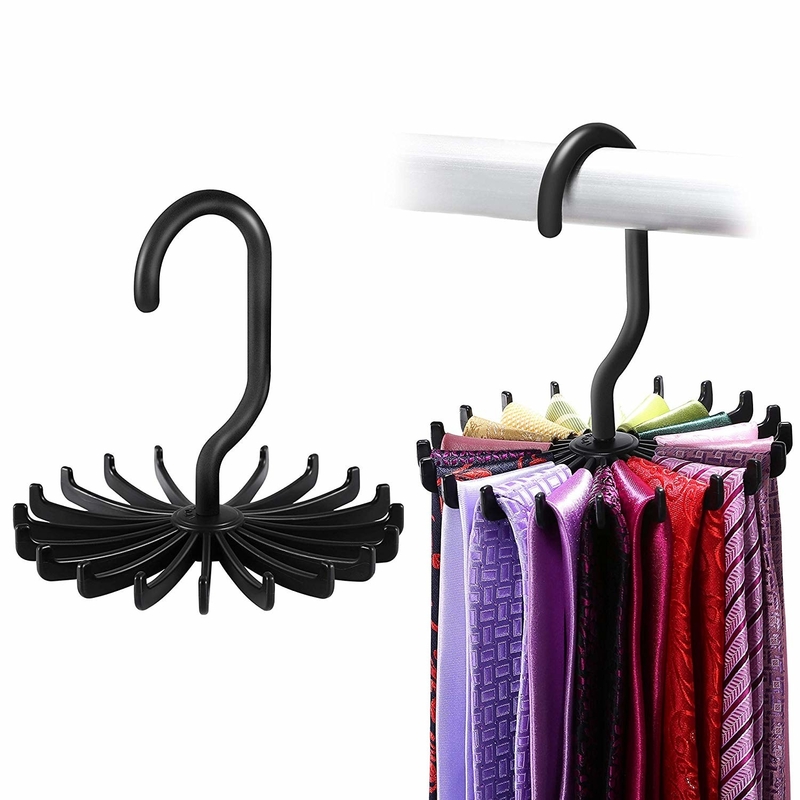 A set of two tie hangers that you can easily repurpose as a tank-top or bra sorter, too. Get the set of two on Amazon for $6.99. 15. A drawer organizing set to make the most of every inch of space. Get the set of four bins for $13.87 on Amazon. 16. A set of six refrigerator bins — they give all your groceries and condiments a designated place, so you can keep all your favorite salad dressings around but never have to dig for a specific flavor. The pack of six includes a 14-egg holder, a 12-drink can dispenser tray, two trays 8.25" wide (the yogurt and fruit punch trays in the picture), and two trays 3.5" wide (the clementines and condiment trays in the picture). All the trays are about 14 inches deep, and 3-4 inches high. Get the set on Amazon for $38.78. 17. A package of six vacuum storage bags to collapse all your extra pillows, linens, comforters, and clothes you neither want to give away nor let take up so much space. 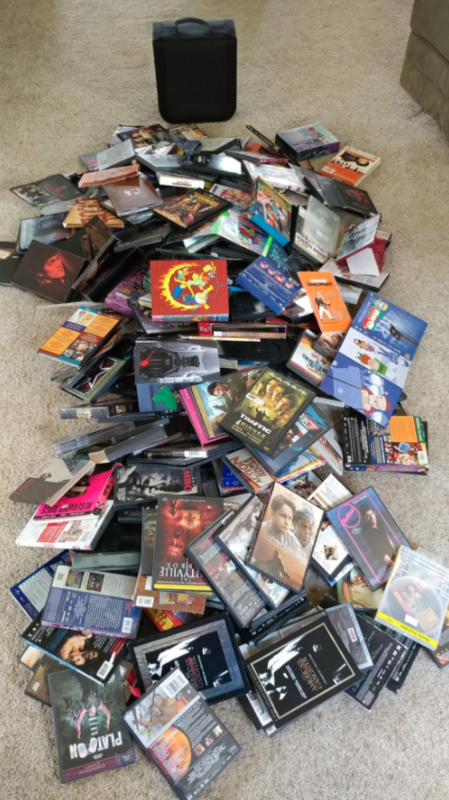 I've used these many times, and they really do double (or more than double) your available storage space! All you need is a vacuum with a hose. You get two medium, two large, and two jumbo bags as part of this pack. 18. 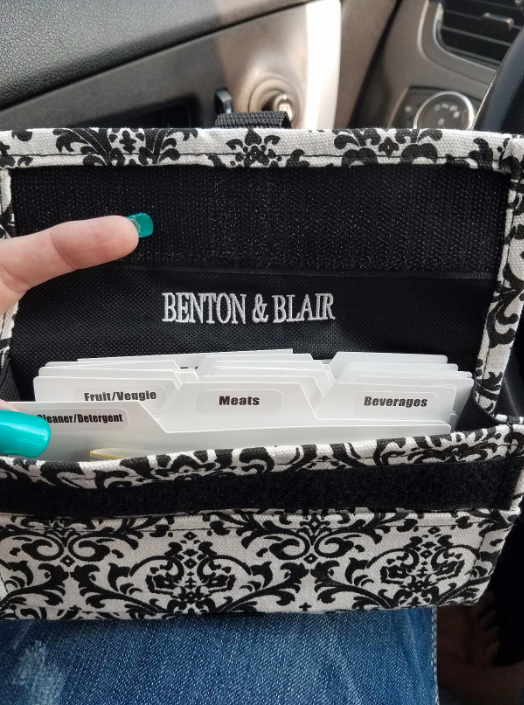 A clear file box and colorful hanging file folders to help you stop spending hours of your life searching for important papers. It turns out that, apparently, a shoe box isn't the best place to store all your old tax documents. 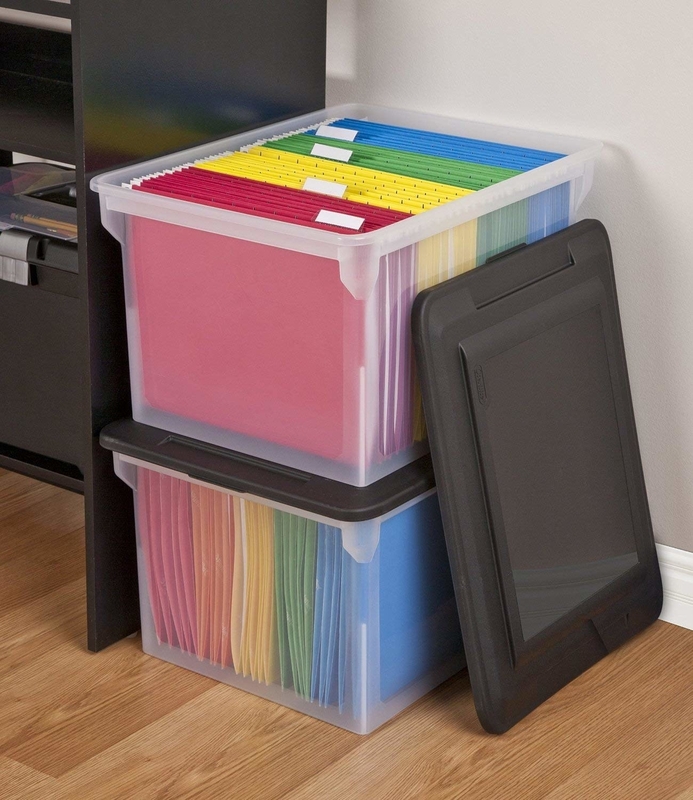 Get the file box for $17.99 and a 25-pack of the files for $9.99, both on Amazon. 19. 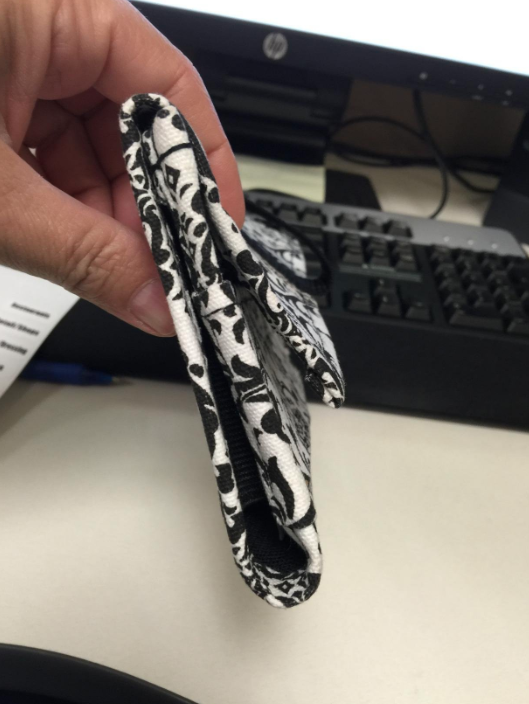 A slim coupon wallet because you like to save money but *don't* like taking forever at every checkout line because you can't find one specific clipping. This comes with little plastic dividers and both pre-printed and blank sticker labels, so you can customize it to however you like to shop. Get it on Amazon for $16.95 (two colors). 20. A set of two jumbo under-bed bags for maximizing every last little inch of storage space you have available. Because they're partially made of fabric, they'll let your linens or clothes breathe, unlike traditional plastic bins. Get the set on Amazon for $12.99. 21. Or a storage bed frame and headboard you can easily lift up to access a wealth of empty space without having to get on the floor and pull everything out. If I did the math right, that gives you around 110 cubic feet of storage space with the full size — that's more four refrigerators worth. Get it on Amazon for $399.99 (two colors, full or queen). 22. 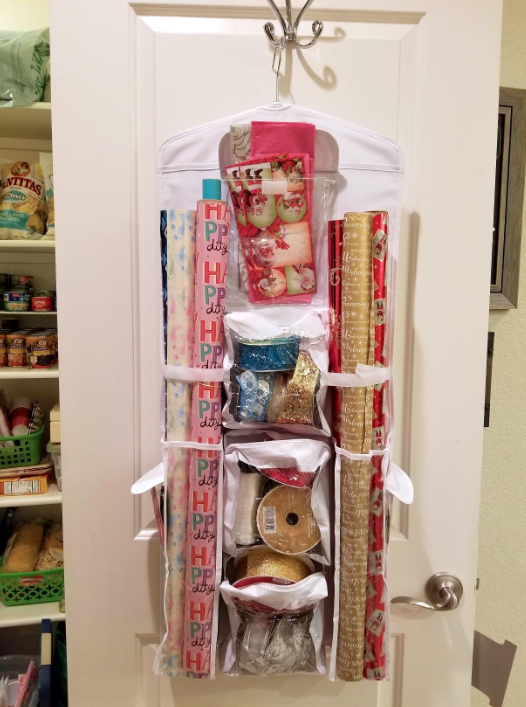 A double-sided hanging gift wrap organizer because even though you only use wrapping paper and bows on special occasions, you want them to be easy to access when you need it. 23. An overhead storage rack so you can use all the vertical space in your garage — and finally park your car in there again, too. Get one on Amazon for $179.99 (black or white; expert setup available for an additional $164.18). 24. A corner tool rack for your garage because you're tired of tripping over the rake every time you head to the driver's seat. It can hold 30 different tools and can be easily anchored to the wall. Get it on Amazon for $24.74. 25. 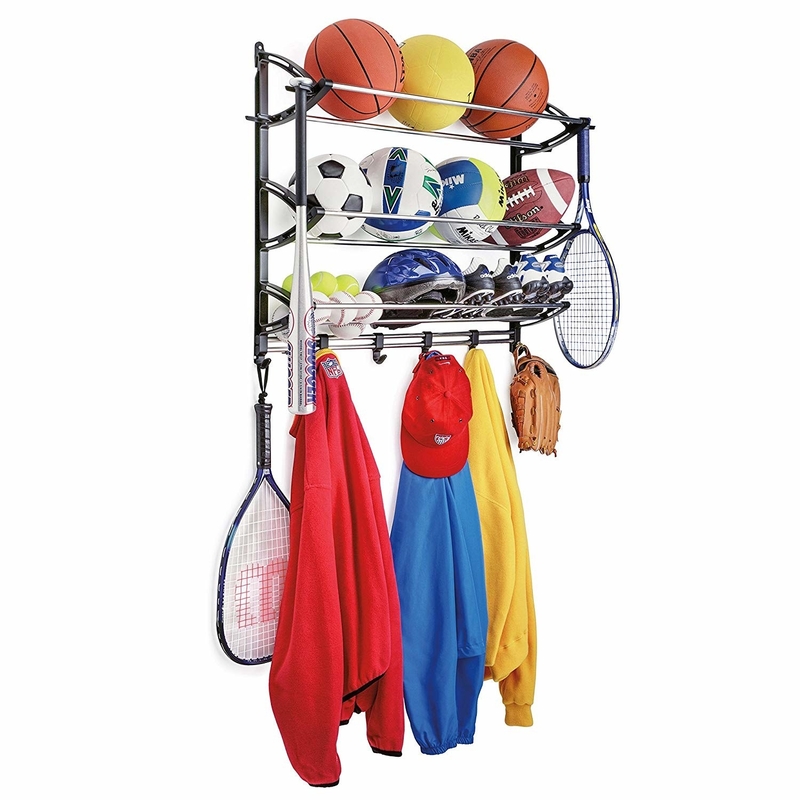 A sports equipment organizer because all of that equipment needs some place to live, and this makes it easy to store *and* to actually use. 26. 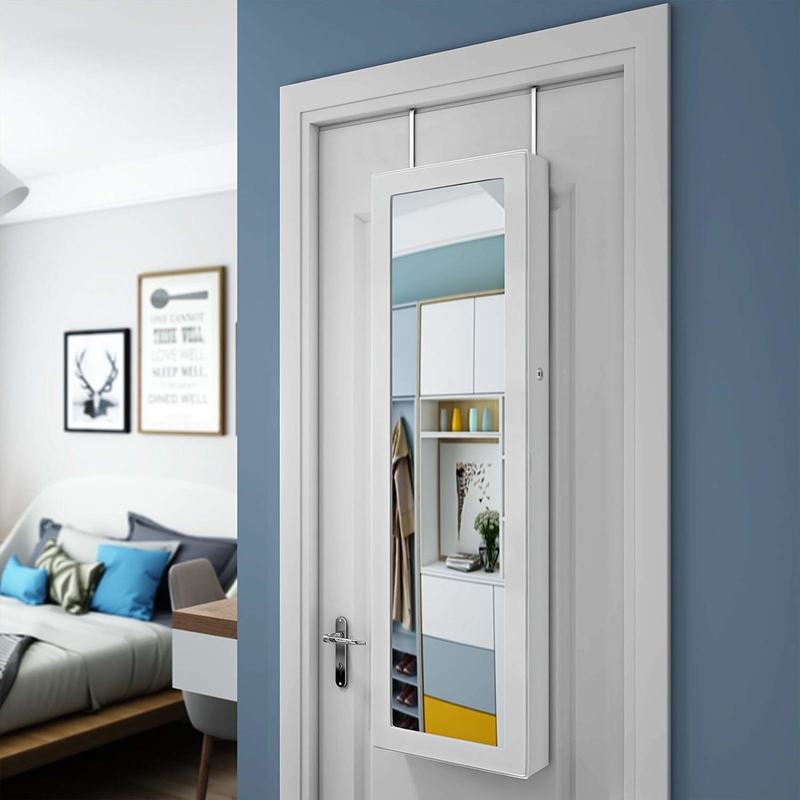 A sliding storage tower that turns any gaps in your house into useful storage space — for detergent in the space between your washer/dryer, for pantry items between your fridge and cabinets, and yes, for bathroom products between your sink and wall. 27. 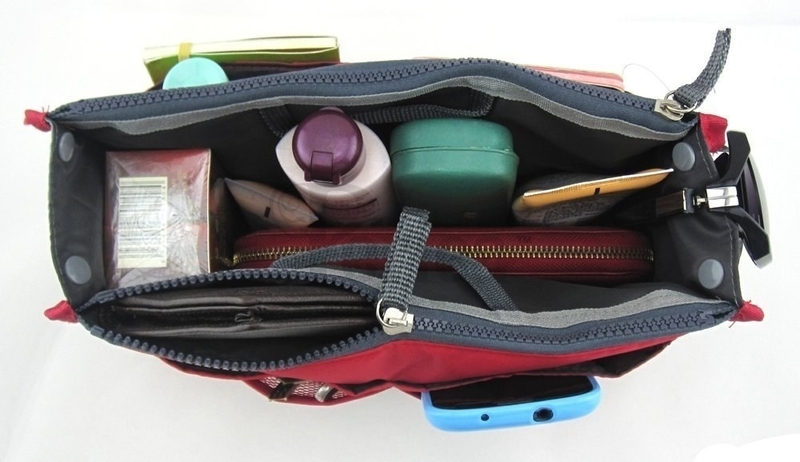 And a sectioned purse organizer made to lift out of one purse and into another one, so you always know where to find your wallet and changing purses becomes less of a hassle. It comes in three sizes and 26 colors; get it on Amazon for $8.99+.